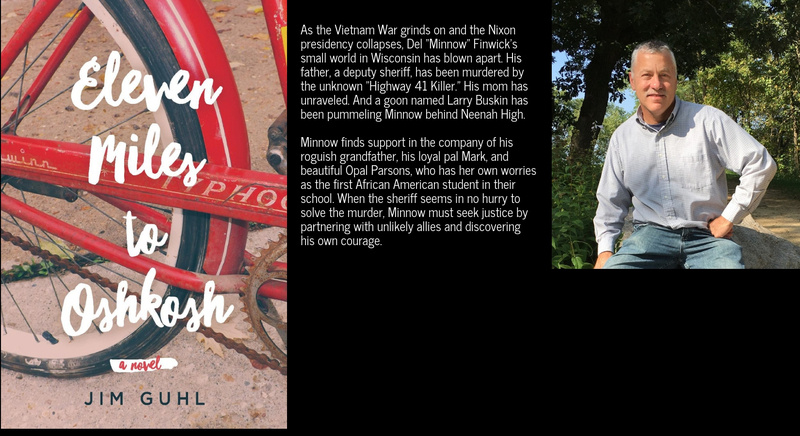 Meet author Jim Guhl and hear about his wonderful coming-of-age novel “Eleven Miles to Oshkosh” published by the University of Wisconsin Press. The novel takes place during the chaos of the 1970s as a young man tries to solve his father’s murder. A former engineer, Jim is a Wisconsin native who now lives in Hudson. Ages 14+. As the Vietnam War grinds on and the Nixon presidency collapses, Del “Minnow” Finwick’s small world in Wisconsin has blown apart. His father, a deputy sheriff, has been murdered by the unknown “Highway 41 Killer.” His mom has unraveled. And a goon named Larry Buskin has been pummeling Minnow behind Neenah High.